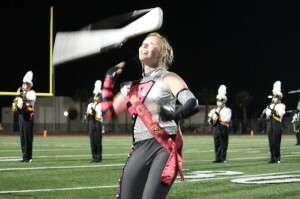 The Esperanza Colorguard consistently wins awards, competing throughout the Southern California area. 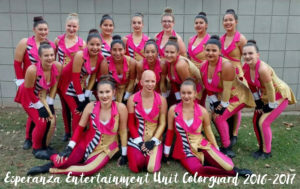 They have won sweepstakes awards for Auxiliary Units in parades, Colorguard performances during field shows, and have consistently place high in Regional Winterguard competitions. See photos and videos on the Band Photos and Videos (Media menu) here. Check the calendar for all after school practices and Competitions! John Arroyo was born and raised in Norwalk, California and graduated from Whittier High School in 2010. After performing in the marching band, winter guard, and theater program for 4 years he went on to perform as a member of various independent groups. John has had the opportunity to perform with the Velvet Knights Drum and Bugle Corps in 2010, The World Champion Cadets Drum and Bugle Corps in 2011 and 2014, Fantasia Winter Guard in 2012, 2015 and 2016. Today John continues to teach several programs in Southern California including John Glenn High School, Whittier High School and is currently taking on his fifth year at Gahr High School. In addition to teaching at the scholastic level, 2017 marks John’s third summer teaching a drum and bugle corps. More recently John has worked with Pacific Crest, The Academy and will be taking on a choreography role for the Santa Clara Vanguard Cadets in the summer of 2017. John is excited and looking forward to be joining the Esperanza Entertainment Unit Staff! Kelly Davis, Dance Instructor Extordinaire! Kelly is a full-time student at Cal State University Fullerton and will graduate with a Bachelor’s Degree in Kinesiology. She hopes to one day teach physical education at the elementary school level.Kelly marched in the Colorguard for the Riverside Community College Marching Tigers in 1999 and 2000. She also was a member of the 4-time WGI world champion Fantasia winterguard in 2000, 2001, 2002, and 2004. From 2000 to 2002, Kelly was a member of the colorguard of the 6-time DCI World Champion Santa Clara Vanguard from Santa Clara, CA. 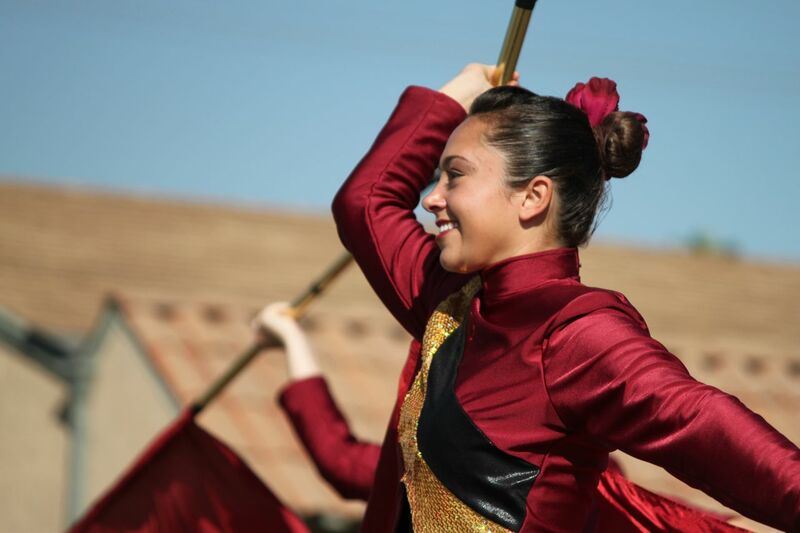 Kelly currently splits time between teaching colorguard at Esperanza and Whitney High Schools and her studies in preparation for her degree at CSUF.